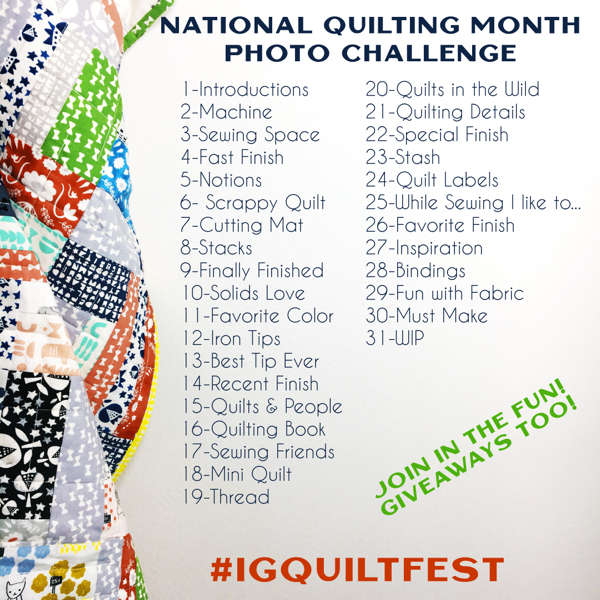 Blogger’s Quilt Festival :: Fall 2014 Edition! Welcome to the Blogger’s Quilt Festival! I hope that you are as excited as I am about all the amazing quilts and inspiration to be found in the coming weeks – not to mention friendships and connections that only quilters can share! Grab a cup of tea or coffee, and enjoy taking in the all the beautiful quilts. If you haven’t entered a quilt before, please know that everyone is welcome to join in with their own quilt via a post on your blog! Share your journey of making the quilt, and why you are compelled to share it with everyone. Even if it’s your first quilt – you are welcome to join in the fun! –>>I have to say thanks again to my sponsors – they add such a fun element to the Festival with the prizes they have donated, and our own shopping mall to enjoy along with the quilts! Be sure to stop by and find a treat for yourself over the course of the Festival. I’m excited to share that Baby Lock is generously giving away a Melody machine, just like mine! Everyone that participates in the Festival is eligible to win. To enter to win, leave a comment below! – Winner’s Choice of 3 yards of hand dyed fabric, a 2 1/2 yard package of Mistyfuse and a Goddess Pressing Sheet, from Vicki Welsh! – $50 in Quilter’s Cash to be used on anything at Missouri Star Quilt Company, and signed copies of all issues of our BLOCK magazine, from Missouri Star Quilt Company! 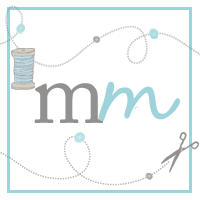 – $100 Gift Certificate from Martingale! The Mini Quilt Category is for quilts measuring no more than 80″ around. The favorite quilt in this category will win a $30 Gift Certificate to your favorite fabric shop from Sewtopia! The Small Quilt Category is for quilts measuring 81″ – 240″ around. The favorite quilt in this category will win a Trace ‘N Create Quilt Template – Dresden Collection and Lone Star Collection designed by Nancy Zieman for Clover Needlecraft, from Quilt Expo! The Large Quilt Category is for quilts measuring 241″+ around. The favorite quilt in this category will win a $30 Gift Certificate to Fabricworm! 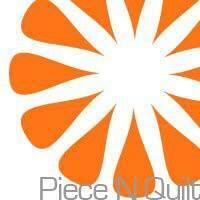 The Appliqué Quilt Category is for hand or machine appliquéd quilts. The favorite quilt in this category will win two fab bundles of fabrics & a bottle of Soak wash from Beyond the Reef! The Art Quilt Category is for your artistic quilts. The favorite quilt in this category will win a $50 Gift Certificate from Fat Quarter Shop! The Hand Quilted Category is for quilts, quilted by hand. The favorite quilt in this category will win a fat eighth bundle of Crazy for Red by Minick & Simpson from Moda Fabrics! The Home Machine Quilted Category is for quilts that have been quilted on a domestic machine. The favorite quilt in this category will win a fat eighth bundle of Red, White Free by Sandy Gervais from Moda Fabrics! The Modern Quilts Category is for your modern quilts. The favorite quilt in this category will win a bundle of 6 patterns and new book, Arcadia Avenue from Sassafras Lane! The Original Design Quilts Category is for quilts designed entirely by you. The favorite quilt in this category will win a a $50 Gift Certificate from Fat Quarter Shop! The ROYGBIV Quilts Category is for your rainbow quilts. 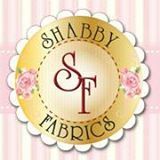 The favorite quilt in this category will win a $50 Gift Certificate from Shabby Fabrics! The Scrappy Quilts Category is for quilts made with scraps. 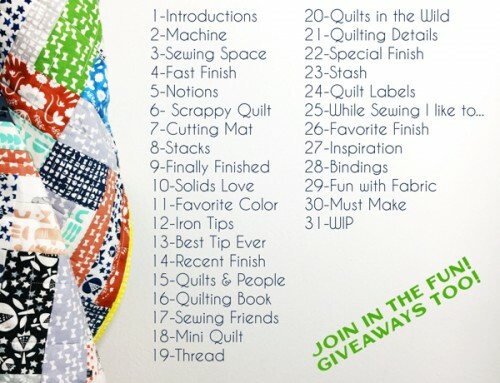 The favorite quilt in this category will win a beautiful fabric bundle and Kitchen Stitches from Beyond the Reef! It’s up to you to decide which category your quilt best fits, read through the list for more information on each category. When in doubt, measure the perimeter, and add it to the mini, small or large category that it fits into. Each quilter may enter up to two finished quilts, each with it’s own post, in separate categories. Like last time, the linkys will not show your names, and will be randomly loaded for each viewer. This gives everyone a chance to be at the top, and for a more fair voting process! Once you have visited a link there will be a green check in the corner, to help you keep track of where to go next. – A bundle of patterns from Prairie Grass Patterns! – Signed copies of Beginner’s Guide to Free-Motion Quilting & Modern One-Block Quilts from Piece N Quilt! – PATCHWORK CITY, My Life in Fabric with Valori Wells, and Modern Applique Illusions from C&T Publishing/Pattern Spot! – One of 11 Edyta Sitar Winter Essentials – large spool sets from Aurifil Threads! – Winner’s choice of Jelly Roll from Green Fairy Quilts! – One of three, 6month digital subscriptions to a brand new Aussie magazine – Make Modern! 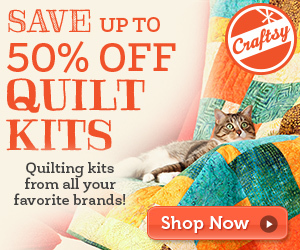 – a $45 Gift Certificate from Quilt Kit Market! -Write a new post for your quilt, even if you’ve posted it on your blog before. -Include a link to my blog in your post. -Link-up! Decide on one category for your quilt, everyone can enter two quilts, each in their own category. -Leave me a comment to be entered to win. -Visit as many of the links as you can! -Nominate (& vote for) your three most favorite for a Viewer’s Choice award, here. If you have any questions, please read through all of the post again, then feel free to email me directly, I will get back to you as quick as I can. Thank you for another great quilt festival! I can’t wait to see all the quilty goodness. So excited that I actually have quilts to enter this time! Thank you so much for all your hard work in putting this together. I know how much time events like this take! woo hoo! another festival of beautiful quilts has begun! thanks so much for hosting/managing the festivities! All linked up! Thanks for organizing this event! So many amazing prizes again this time around! Thanks for hosting and organizing, Amy. It’s so much fun to visit all the new blogs and see the gorgeous quilts. SO much fun to see all the wonderful, beautiful work! I’m so excited! Thanks again, Amy. Hope I entered Correctly!? First timer. I’m so excited to participate!!! Thanks for putting this together for us all! Thank you for hosting the festival! I can’t believe it is that time of year again! I love to see all the beautiful quilts and get some wonderful inspiration! Thanks for putting this all together!!! Thank you again for hosting! This is one of the best events, if not the best, in the online quilting community. :) I can’t imagine all the hard work you put into it! Thanks again! Thank you for hosting! This is one of my favorite times of the year! I am excited to participate again! I entered in two categories this time, art and ROYBGIV. Thanks for hosting this fun event! I just love Blogger’s Quilt Festival. Every time I discover so many talented quilters. Thanks for hosting this wonderful event! This is really a favourite time of year! I love getting so much inspiration from all these talented quilters. Thanks for once again hosting this fun event! So excited – thanks Amy and thanks to all your sponsors, this is always so much fun!! Even more so now that I’ve entered a quilt, I’ve missed the last few times! Thanks Amy, so fun to see what everyone is working on! Thanks to the sponsors too, great prizes. Amy, Thank you for hosting the Blogger’s Quilt Festival! Yay, it’s my favorite time of the blogging year! Thanks Amy! I always enjoy the Blogger’s Quilt Festival – so much amazing talent all in one place! Thanks for hosting! I am thrilled to be participating again in Blogger’s Quilt Festival. This is my third festival! :) Thank you Amy and all the sponsors. Thanks for sponsoring this! I’m excited to participate for the first time! Always fun to participate and to view all the lovely quilts entered into the festival. Thanks to everyone who make this an event to look forward to. Thanks so much for organizing this again Amy, it’s great to see all those wonderful quilts. I have linked up too! Woot woot! I heart the blogger’s quilt festival! Thanks for all the hard work you put in behind the scenes to make this happen! I’m excited to start browsing a fabulous world-wide virtual quilt show! Thank you so much for organizing the Festival, Amy! I am participating for the first time. Thanks for doing this super Fesival again Amy! And thanks for all the work you do to get this organized. 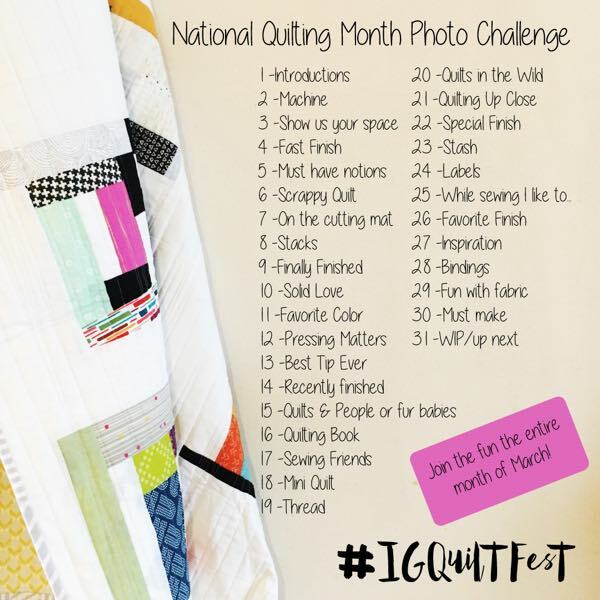 I can’t wait to see all the quilty goodness! I’m off to link up now. Thanks to Amy Blogger Festival is organized every year by every year I have participated in so far, and sometimes I was winning everyone happy sewing work and visit the wonderful blogs of luck and happiness. Fantastic prizes, Thanks so much for all your hard work in putting this all together. I look forward to seeing everyone’s entries, and will enjoy the chance to share a couple of my projects too. I enjoyed this so much last time round and one of my goals was to enter something this time. I’ll have to see what I can get organised. Love this festival – thanks for organising! I’ve scanned a couple of the show posts and the quilts as always are spectacular. Thanks so much for all the work you put into the festival. I love looking at all the quilts that are shared each time. Thanks for the inspiration. This is always one of the best things about this time of year and so much fun for all of us not attending Quilt Market in Houston. I look forward to seeing everyone’s great projects and thank you for hosting this fabulous online event. Always enjoy this quilt festival. I entered two quilts this year and look forward to seeing what else has been submitted. Thank you for hosting and for all the work you put into it! awesome giveaway. lots of talent to view. This is fun! Thanks for all your efforts in setting it up! I love the Bloggers Quilt Festival! Thanks again, sew much, for hosting it! Thanks again for hosting another great festival! For the second festival in a row, I’m sharing a ROYGBIV quilt which is so odd since I’ve never considered myself a rainbow kinda girl. Looking forward to checking out all of the quilts over the next couple of days! Thanks, Amy, this is always fun! Hooray! I love this time of year. It’s so much fun to be able to see so many gorgeous quilts! YES! A GOOD TIME OF QUILTY FUN ! Looking forward to another fun Blogger’s Quilt Festival! Thanks again for hosting this fun event with so many inspiring projects!! What an amazing display of talent and artistry! Many thanks to Amy and all the festival sponsors!!!!!! Yey! I made it this time and I’ve entered one quilt. There are some amazing quilts! Thank you for organizing this festival! Thank you for hosting such an amazing event Amy! As a new quilter BQF has been a source of inspiration for myself as well as leading me to follow new and exciting blogs. Thanks again! I can’t wait to spend some time looking at all the beautiful entries! Thanks for hosting another Festival. So many amazing quilts! My eyes are full, my creativity is abound…Thank you Amy! Wow, you’ve been busy. I’m looking forward to seeing all the beautiful quilts and being inspired. Always fun. I’ve been participating since 2009, and entered in the Art & ROYGBIV categories this time. My Art entry uses some rather unconventional materials. thanks for hosting! My blogging event, I love reading about all the entries! Thank you for once again organising the festival! It’s always a highlight on the blogging calendar. This is my first year entering the Festival instead of just watching. Thanks to all the generous sponsors!! I just love Festival time of year! I don’t get to go to any live festivals so this is my virtual market trip. On the plus side, I save a lot of money this way. Thanks for hosting again and to all of the generous sponsors. Thank you for hosting this Festival! It’s great to share one’s quilt and to see so many fabulous quilts by others! Thank you for hosting! Great entries as usual! This festival is so much fun! Thank you for hosting. This is my first year, and I’m really enjoying seeing everyone’s quilts! Thanks for organizing this again! I’m looking forward to seeing all the beautiful quilts and to feeling really inspired. So exciting to be doing this again. Thanks for all of your hard work in organizing this whole thing. Thank you Baby Lock and Amy for the chance to win! I’m super excited to be taking part in the festival this year! 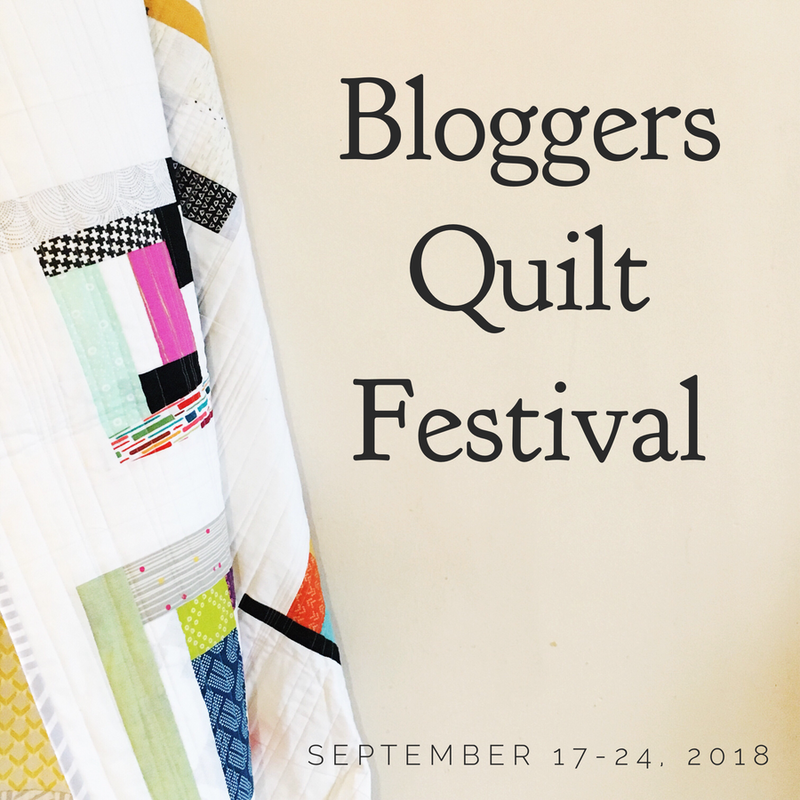 I am excited to finally join the Blogger’s Quilt Festival! Thanks for coordinating a great event. Thanks for much for hosting the Blogger’s Quilt Festival. It is surely mind boggling to think of the work it takes to get it all organized and put together on time! I love looking at all of the quilts from all over the world. It is so inspiring to see what other quilters have made! I am sooooo excited to be participating again !! Spring and Fall festivals are my favorite time of year ! Thanks for hosting the festival! I’ve entered one quilt, in Applique Category. Love this event, and watch those beautiful quilts! Struggling to get to the Viewer’s Choice page- it goes to the last BQF for me… Thanks for the great giveaway too. Thanks for hosting this great event! I’ve entered mine in the Original category. Thanks for hosting! Love the quilts! love BQF! it’s so much fun to browse through so many beautiful quilts. Thanks so much for all the hard work that you do to organise the festival! My sister Nupur and I, from Cottons and Chai are proud to participate in the Blogger’s Quilt Festival for the very first time. I’m sure we are going to be awed and amazed at the wonderful talent all gathered in this one place! 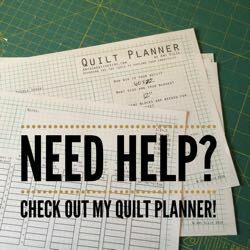 This is a great way to share and encourage quilters. It’s a great pleasure to participate once again in the festival. Amy, you do a great job putting it all together and all the participants exceed my expectations. Congrats on such an amazing work! I think this year I might enter a quilt. It has been a long time since I’ve had a finish! Thanks so much for hosting this again, I love seeing all of the beautiful quilt! I’m so happy to take part in such a wonderful quilt event! Thank Amy for the possibility and thank all quilters for your artworks! Thank you for putting this all together Amy! Such a fan of this wonderful event…it is always inspiring and motivating and a great learning experience as well. 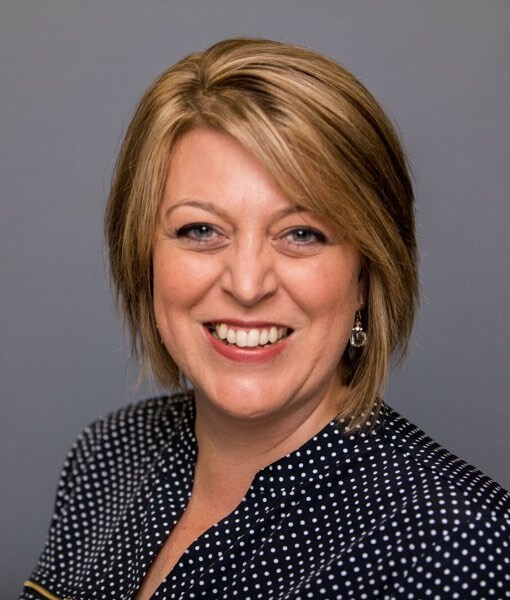 Cannot thank you enough, Amy, for your consistent excellence in presenting this event and working with sponsors to have such fabulous prizes in so many categories. To the sponsors themselves, it is awesome that you support those of us who are lesser-known in the quilting world – thank you all so much! I love this time of year. New things are happening at market and bloggers show off their quilts at the Blogger Quilt Festival. THanks Amy, for the chance to see all this quilting candy. I’m very excited for the quilt festival because of all the wonderful eye candy and project inspirations! I just entered one quilt and hope to get another entry in later this week. Thanks so much for all your hard work. This is my first time entering quilts (two!) in the Festival. So many beautiful quilts to look at it and so many new blogs to discover! Thank you for all you do to make this happen. I’m entering a second one, in the Small Quilts Category. Thanks for this great Festival! Always look forward to the Bloggers Quilt Festival! Thank you for putting it all together again Amy! Thank you so much Amy, for this event. I use all my time these days to look at all the fantstic quilts. Thank so much, once again, for hosting this wonderful event!! I am so looking forward to seeing the quilts! I am always so amazed at everyone’s creativity! Thanks for hosting this!!!!!! I’m always excited to be a part of this event with all its amazing inspiration! This is new to me! WOW – this is great! Thank you so much! My first time entering. I entered the scrappy category. Just linked up my entry in the Scrappy category. Thanks for organizing the festival again. Just linked up two quilts in the Small and Home Machine Quilted categories. Thanks for continuing the fun! I love the way the pictures randomize each time I pull up the different pages with the little checks in the corner so I can keep track of where I’ve been. Thanks for all your hard work! Thank you for all the work on this festival, it is always so much fun to see all the quilts. So many great quilts already posted. Thanks for working on this, Amy! Thanks Amy! I am excited that I finished my ROYGBIV quilt entry JUST in time to submit it this year. It is for our soon to be baby who is due 11/11/14. Excited to see what everyone else made too! Thanks for hosting again. I am going to enter one of my dearest quilts in the festival this time. I can’t wait to see what everyone has made. I am not a blogger and have no website, but I am certainly looking forward to seeing all the gorgeous quilts! Thank you so much for hosting this. I’ve just learned of this event and entered a quilt for the first time! So excited! I entered my two! I’m a newbie so I’m sure I won’t compete but it’s fun to try!! I just posted a quilt in the mini quilt category. Thank you for hosting. I love joining in on the fun and seeing all the beautiful quilts. Thanks again Amy, I’m loving the quilts this time! Love the festival! It’s something I’ve enjoyed for years. Thanks so much Amy! I did it!!! I finally entered TWO quilts. Thank you sooooo much for putting this on and giving quilters a place to share what they’ve done! You’re a rockstar! This is so fun. I love Blogger’s quilt festival. Thanks so much for all the work you put into it and the great prizes! Thank you for another wonderful festival. I just linked up! Hope I can win something. This is such a fun thing to do. I just love Bloggers Quilt Festival! So much inspiration. Just linked up! Thanks for all your hard work on this great event! This is always such a great event. Thank you so much for putting together something so amazing! This is my first time viewing and participating in this great event – Thanks for hosting it… it will definitely be on my ‘must see’ list in the future! Glad I found your website and this fun festival. Beautiful quilts! Thanks for hosting! Thanks for hosting this awesome event every year! This is one of the first blog hops I joined, and I love that it’s still going on! 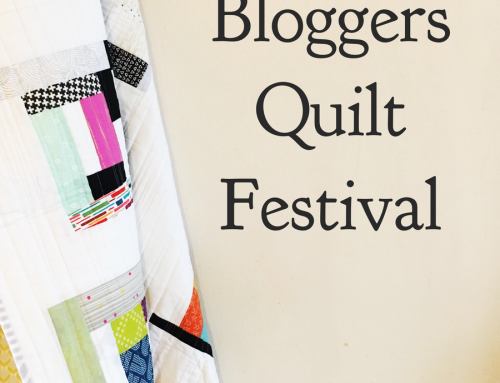 This is my first time entering this exciting Blogger Quilt Festival. I’m very excited to see all the creative quilts by sew many talented quilters. I’ve entered two, one in the Large Quilt and one in the Home Machine Quilted category. Whoo–hooo–so many amazing quilts to look at and so little time! Thanks for the opportunity to show my quilt! Just got my quilt bound and entered this morning! Thanks for the inspiration. Thanks again Amy for all your hard work. Would love to win a Missouri Star Quilt company gift card and the Block magazines. Just love what they do! I love the inspiration I get looking through Bloggers’ Quilt Festival entries. So many BEAUTIFUL quilts! I know putting it all together is a LOT of work, so thank you, Amy. On a related note, I am still waiting for my Aurifil prize from the last BQF. I was so looking forward to trying Aurifil. Has anyone else experienced this? Your blog is amazing! Thank you for organizing this fun festival! I entered the Applique category. You are amazing Amy, and so are everyone’s quilts! This is my first time entering. Two quilts – one in Original Design category and the other in Modern Quilt category. Thank you for hosting and for the chance! Long time fan of this, first time to enter! Thanks for such a great platform! This is my first year entering and I’m so excited! Thank you Amy for organizing this event. It is such a great way to discover new and interesting blogs and to be inspired to create. Also a huge thank you to all of your generous sponsors! Amy , Thank you so much for all the work you put into making sure everyone who visits and participates has a great time! Another amazing display of awesome, inspiring quilts from around our quilted universe! I so love this virtual quilt show; thanks for this opportunity! Thank you Amy for hosting another wonderful festival!!! Thanks for all you do to host such an inspiring show, Amy! This is my second time entering. I never thought I would be entering an appliqué quilt, but here it is. My quilt was for my cousin’s Tongan daughter, who just died. I couldn’t make it to the funeral this week, but my aunt said the quilt was hanging right by her casket during the funeral. Made me humbled. Thanks for a chance to enter a show! Thank you so much for hosting – I love looking at all these great quilts. Love this each time it happens. Great inspiration and a way too find new blogs to follow. As usual, great entries. Thank you so much for hosting! As always it’s a wonderful display of quilts in all kinds of styles. This time I succeeded in finishing my post just in time – again. :-) Thank you for this brilliant idea! Thanks for doing this great festival! So many quilts to see, and such inspiration! Hoping to win a drawing prize!! Thanks so much for hosting the festival. Looking forward to browsing thru and selecting my faves. This is so much fun. Wonderful quilts to drool over. Love all the beautiful quilts. “Sew” much inspiration being a self-taught quilter. Thank You for hosting the festival. Would love to win. I love seeing all the amazing quilts and finding new blogs to follow for inspiration!! Thanks for all the time that goes into making this happen!! Thanks for hosting! 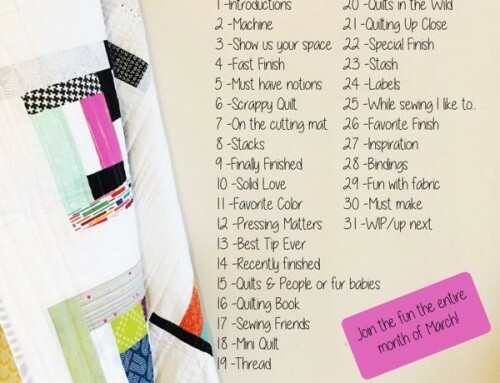 It’s so fun to see all the quilting inspiration! I always love the Blogger’s Quilt Festival – so inspiring! I can’t wait to get to sit and see the quilts when my kids are napping (instead of hitting each other over the head with toy plates). looks like so many wonderful things going on! Thank you so much for all the work you do to bring us the Blogger’s Quilt Festival! This is probably the only show my quilts will ever enter. The talent is amazing! Well done quilters! I enjoy looking at every one and borrow some inspiration…. thank you for all the eye candy. Thanks so much for all the hard work and inspiration! I would absolutely LOVE to win the Melody! I went to the dealer a couple of weeks ago to buy and was told he didn’t have any in stock and can’t order them. I’m keeping my fingers crossed! Thanks for offering this quilt festival! Lots of eye candy here! It has been fun hopping around to the blogs. And this was my first time to participate. Found your site via Babylock on Facebook! LOVE IT! Thank you for doing this for the folks that don’t get the chance to get to Houston. Looking forward to the festival !! Omg…to win would be a dream come true! I love Baby Lock!!! Pamie G.
Thanks for coordinating this festival of inspiration! I love all the quilts and I just love Baby Lock. I would love to win a machine. But I know I have no chance.. I don’t have a website I have a very old sewing machine it needs repair, but I will afford to fix it one day. I was using it to make items to sell to help make money to supplement our income since we live paycheck to paycheck,My husband is the only worker in the family.. But thanks for letting me post. I just love your site. Thanks for making me happy today. This sounds like a lot of fun. Would love to win the sewing machine for my daughter. Such great quilts and inspiration. Thank you for organizing! Thanks for hosting this great festival again Amy! I love getting to check out other quilters and get inspiration. Another great Bloggers Quilt Festival — sew much fun to see all the beautifully creative entries! Thanks Amy. Thanks for hosting this great festival again, Amy! Thanks again for hosting such a wonderful virtual quilt show! Almost makes me want to start a blog just so I can enter.